An announcement from Reverse My Mortgage highlights new rules that have been applied to reverse mortgages and their impact on senior citizens. As the year continues to progress, seniors interested in applying for a reverse mortgage in Salt Lake City will be faced with additional hurdles. To ultimately increase the stability of the program, the Department of Housing and Urban Development has reduced the amount of equity seniors are able to access in addition to limiting the amount of money they are able to receive within the first year after taking out the mortgage. The main change made to the reverse mortgage system involves how much money seniors are able to take back in cash from the home equity they already have in their home. Under the new regulations, seniors may be able to take out 10 to 15 percent less than the previous rules allowed for. For example, under these new changes, a senior citizen with a 5 percent interest rate on their loan will be able to borrow up to 52.6 percent, plus loan fees, on the appraised value of their home. However, RMM is finding ways to help seniors navigate these new rules with their completely free counseling services. In a recent announcement, they stated that those seniors, above 62 years of age, interested in an HECM loan in Utah could turn to them to gain the help they need to maximize the benefits that come from taking out a reverse mortgage. This is because the professionals at RMM are experts in the financial field and know all the rules regarding social security, Medicare, and other issues that play into the reverse mortgage in Salt Lake City process. How can RMM help senior citizens start the process? 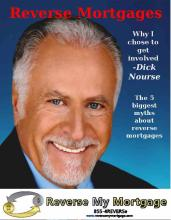 In order for senior citizens to get a jumpstart on the advantages taking out a reverse mortgage offers, like eliminating house payments and providing seniors with a greater degree of financial stability, RMM recommends that interested individuals use the reverse mortgage calculator on their website to find out how much money they could potentially qualify for. This process is easy, secure, and quick. Once this has been completed, seniors are urged to get in contact with RMM if they have any questions, hesitancies, or want to know how to maximize their benefits. To find out more about an HECM loan in Utah and their benefits, or to use the user-friendly mortgage calculator on their website, visit http://www.reversemortgagecalculatorfha.com/.